Glastonbury kicks off later this week, but if you're one of the few still vexed by Florence And The Machine replacing the Foo Fighters, Spotify wants a word. The music streaming service has reshuffled the lineup of all three main stages based on who has the most popular streams in the UK this year. In Spotify's alternate universe, Florence and the Machine, Kanye West and The Who have all been pushed down the bill on the Pyramid Stage and replaced by James Bay, George Ezra and Hozier. However, Florence are still number two on the bill and boast more streams this year than the Foos. Under Spotify's new lineup, only 10 of the acts actually keep their original slot. You can see the full bill below, and here's the original (real) one for reference. 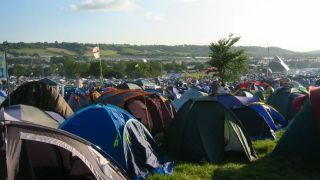 Heading to Glastonbury or any other festivals this year? You need to read this.